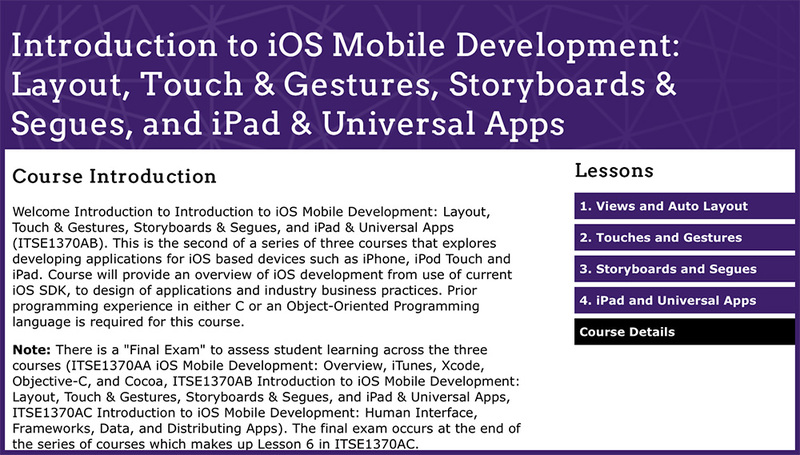 This course contains three modules that explore developing applications for iOS based devices such as iPhone, iPod Touch and iPad. Course will provide an overview of iOS development from use of current iOS SDK, to design of applications and industry business practices. Prior programming experience in either C or an Object-Oriented Programming language is required for this course. Note: There is a “Final Exam” to assess student learning across the three modules occurs at the end of module C which is the summative assessment of the series of three modules. All of the courses underwent a thorough review by industry subject matter experts. A copy of their review is available here: SME Reviews. To learn more about this program, please download a copy of the MIS Mobile Devices Brochure. This is the first of a series of three modules that explores developing applications for iOS based devices such as iPhone, iPod Touch and iPad. Course will provide an overview of iOS development from use of current iOS SDK, to design of applications and industry business practices. Prior programming experience in either C or an Object-Oriented Programming language is required for this course. 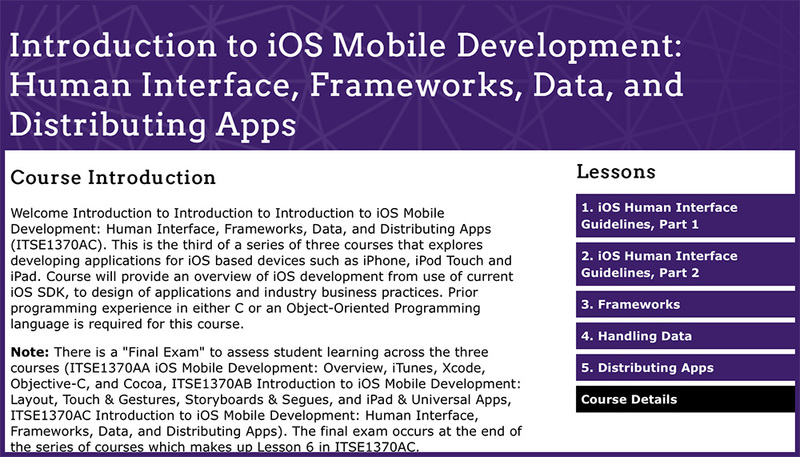 This is the second of a series of three modules that explores developing applications for iOS based devices such as iPhone, iPod Touch and iPad. This course will provide an overview of iOS development from use of current iOS SDK, to design of applications and industry business practices. Prior programming experience in either C or an Object-Oriented Programming language is required for this course. 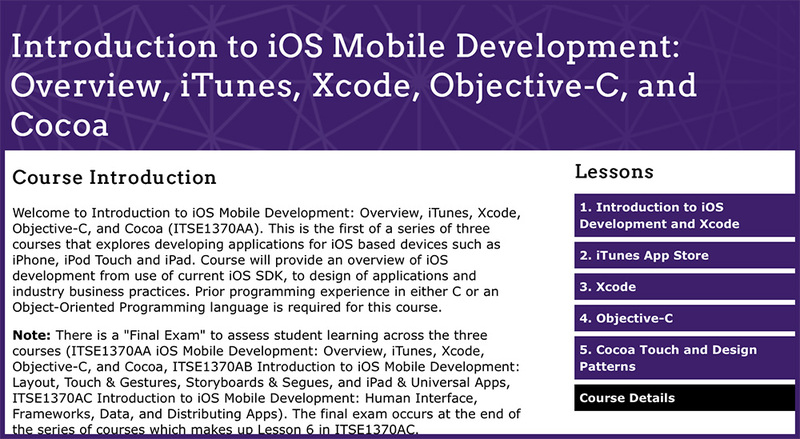 This is the third of a series of three modules that explores developing applications for iOS based devices such as iPhone, iPod Touch and iPad. This course will provide an overview of iOS development from use of current iOS SDK, to design of applications and industry business practices. Prior programming experience in either C or an Object-Oriented Programming language is required for this course.